I once heard a story about Scott Adams, creator of the Dilbert comic strip. First published in 1989, the comic strip gained a quick following. But Adams wanted more. He wanted to be THE most famous cartoonist in the world. According to the story I heard (mind you, now, I’ve never done the research to back this up), he saw as his nemeses three cartoonists of immense fame and wide regard: Berke Breathed, who drew Bloom County; Gary Larson, of Far Side fame; and Bill Watterson, creator of Calvin and Hobbes. Adams felt that if he was ever going to make it to THE top, each of these three comic-drawing gods was going to have to put the cap on his pen and call it quits. In the meantime, Adams was leaving nothing to chance. He started writing affirmations and repeating mantras to himself. He cut up strips of paper on which was written “I am the most famous cartoonist in the world,” and pasted them everywhere: bathroom mirror, refrigerator, computer, phone, car sun visor. Anywhere he looked, this affirmation was there to inspire him. And then, unbelievably, one by one Breathed, Larson, and Watterson decided to end their strips, leaving the road clear for Adams to ascend to greatness. I’m not sure he was ever the most popular cartoonist in the world – or even in the United States – but no one can argue with his success. The Dilbert comic strip was the progenitor of several movies, an animated TV series, a video game, and hundreds of pieces of merchandise. Adams received the National Cartoonists Society Reuben Award and the Newspaper Comic Strip Award in 1997. And his lovable misfit and entourage appear in 2,000 newspapers around the world across 65 countries, translated into 25 languages. A post by Brendon Callagher on Complex.com titled “The 25 Best Sunday Comic Strips of All Time” placed Dilbert at #13. And my Google search for “most popular comic strip” shows Adams in the fourth position. To sell 10,000 copies of your book? To make The New York Times bestseller list? To go on a world tour with your book? To have your book made into a movie? Before you can achieve it, you have to know WHAT your goal is. And regardless of how distant and unachievable they might seem, none of these is out of the realm of possibility for any author. When it comes to achieving your goal, however, the deeper questions are: How much do you want it? And what are you willing to do to get it? Adams probably did a lot more than just write, post, and say affirmations all day. But he was certain he had to embrace the success mindset he wanted to achieve. This is an essential part of the Law of Attraction. There’s a made-up word, wytayba, pronounced WHY-TAY-BA, (an acronym, actually, that stands for “what you think about, you bring about”), that most Law of Attraction practitioners focus on daily. Where are your thoughts? What is your focus? What do you spend the most time concentrating on? If it’s not your number one goal, you either need to change your goal or learn to refocus your thoughts. I was recently gifted with an idea from the Arizona Marketing Association – a group of like-minded entrepreneurs and businesspeople who gather monthly to discuss marketing ideas, tips, and tools. Think about a simple device you probably have in your hands for hours at a time daily – your smart phone. Would you believe that the average person checks their device – that means looks at and/or unlocks their home screen – between 85 and 110 times a day? I’ll tell you, I’m sure a lot more focused on publishing my novel by April 22nd (the day before the L.A. Times Festival of Books begins) than I was before I added this simple, elegant reminder to my phone. Here’s to accomplishing your goal and living WYTAYBA! Want to experience the West Coast, sell & sign books, and make some great new friendships? Join us for Great 2017 West Coast Book Tour – July 22-August 12. We’ll visit San Diego, LA, San Francisco, Portland, Seattle, and Vancouver. Space is limited to 6 authors. Reserve your spot today! Details here. Setback: A Reason to Quit or a Time for Reevaluation? Setbacks happen. To all of us. Sometimes when we least expect them. I recently had a big one. On January 2nd, I came down with a cough that eventually worsened and evolved into pneumonia – which sidelined me, well, pretty much until this weekend. A whole month – lost. Productivity wise, yeah, it was a lost month. I had to tell my clients, “I’ll get back to you as soon as I can.” Most were very understanding, offering to pray for my quick recovery. I didn’t work on my novel. I had to cancel the first Meetup of the year for Phoenix Publishing and Book Promotion. My husband and I had to cancel a getaway to Flagstaff. I was down. But the sidelining forced me to do some things I, apparently, haven’t been very good at. One – resting. A lot. Like all day long for two straight weeks. Two – pacing myself. Once I regained a little strength, I had to figure out where and how to use it, because it was so limited. Three – listening to my body. Besides the obvious breathing issues, the illness also affected my digestion, sleeping, skin, and cognitive function. Who knew that thinking used up so much more energy than exercise? Four – drinking water. I’ve heard for years that we’re supposed to drink ½ our body weight in ounces per day – and I’ve never come close to that. Being sick, though, made me desperate for water. And I learned that I very much prefer ice water. So now that I’m in the water-drinking habit, it’s probably something that will stay with me. In the interim, I had my trusty phone with me whether I was in bed or watching another stand-up comedian’s Netflix special, so I delved into Facebook in a way I never have. I’m honestly not advocating for Facebook – it’s just the platform that was accessible to me at the time. (I’m also exploring a new one called Minds.com that looks to be a very promising challenger to THE social network.) And I started paying attention to all of the posts I was seeing – many of them, understandably, political. I don’t know whether it was simply having the time, or whether I was finally deciding to answer that calling to be more visible about my perspectives, but I wrote and posted a lot of stuff, some of it very personal, that I’d never before shared publicly. Things like: my complicated position on abortion; my mom’s lifelong mental health issues that finally turned out to be vascular dementia; my feelings about the “Make Facebook Fun Again” meme; my thoughts on Obama’s legacy; many issues on both sides of the political aisle. I never pay much attention to my friends count, like some do – but as far as I can tell, it didn’t really waiver in the face of all these new revelations. Did I impact anyone? I think so – just based on the comments on some of the posts. Have I been invited to blog anywhere or do a TEDx talk? No – not yet. But it was a good exercise, one I hope to find time to periodically continue as I emerge from my illness and get back to work. Last May I started working with a personal trainer, Miles Beccia of Mind Muscle Memory. Miles’ training style was foreign to me, at first – very different from the prior experience I’d had working with a trainer. But he’s actually a genius – and his method, reflected in his business name, works. His method is to start slowly, with the goal of training your body and mind to work together to form new patterns that help you eat well and get the most out of your exercise regimen. “Because,” he said, some months ago, “if you ever experience a setback, you want to be able to get back on your program as soon as you can afterward.” (OK – that’s paraphrased.) But it really worked! Not for one moment while I was sidelined due to this illness did I ever consider abandoning my new exercise and healthy eating habits. Yes – I sure had to put them on hold for a while, as consuming multiple boxes of saltines is not really recommended for a healthy person who wants to reach a weight loss goal. But I’ve recently resumed my workouts, though slowly and in a fairly abridged format. More importantly, I am motivated to work my way back to the full strength and stamina I had when I left off at the end of December. So what does any of this have to do with book marketing, anyway? A lot, if you think about it. No matter who you are or where you are in the publishing process, chances are good that you’ve hit a setback or two. This lead or that tool did not pay off the way you thought it would. You were less than successful at three book fairs or festivals in a row, which caused you to think, “I’ll never do this again!” You burned through your annual budget in the first two months of your book marketing campaign. Whatever it is – you’re not where you wanted to be or thought you would/should be by now. Are you going to become a victim, give up, and go back to whatever you were doing before you decided to write your book? Are you going to take some time to reevaluate your plan – or write out a plan, if you’ve never taken the time to do that before – so you can make any necessary adjustments and give it another shot? Are you going to learn from the experience, and apply what you’ve learned going forward? Are you going to get back on the treadmill – or decide that you never really wanted to lose the weight in the first place? Setbacks happen. Here’s hoping you make the most of the next one that finds you. Vibe – if you stretch it. Live – depends on usage, which determines pronunciation. The new year is 2015, but since there aren’t very many things that rhyme with fifteen, I’ve heard people working instead to rhyme one-five. Devising a catchy slogan for the coming year is just one of several rituals we seem to observe about this time every year. Guess of the choices, I’m looking to creating a vibe that allows me to thrive while being alive. My colleague Jake Poinier has written an interesting post about alternatives to New Year’s resolutions – with which I heartily concur. I’ve never been a fan of the end-of-year promises to change every aspect of our lives we deem in need of repair, improvement, or completion. The past few years, I’ve been opting instead to choose ONE WORD – more of a concept, really – on which I will focus throughout the year. Recent words have been peace, gratitude, and follow-through. I read an interesting post yesterday on the Inc.com website from Lolly Daskal, President and CEO of Lead from Within: 6 Powerful Questions to Ask Yourself Daily. Damn are these good! If you’re looking for a way to shift your writing, book marketing, business, or life as we herald the new year, you probably can’t go wrong by starting with these questions. Daily. 2. What bad habits do I need to release? 3. What motivated me today? 4. Have I been the kind of person I want to be? 5. What mistakes did I make today, and what can I learn from them? 6. For what am I grateful today? And if these questions don’t exactly work for you, why not write a few of your own? 7. Who did I help today? 8. Who did I connect today? 9. Did I visualize myself achieving my goals today? 10. Did I meditate or take even 10 minutes of silent time? 11. Did I speak kindly to myself – and others – today? 12. Did I forgive myself – and others – today? Here’s to asking the right questions – and getting the answers that will propel us to reach all of our goals in 2015! 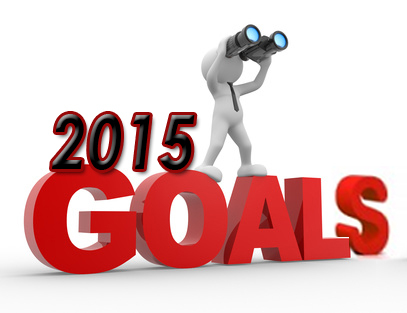 Do your writing and book marketing projects have goal dates? Whether it’s your writing process or your marketing plan, do you have goal dates attached to your projects? Do you have a timeline, a series of deadlines, a goal list, or some general thoughts that one day you’ll get it all organized? Timelines – even for those of us who resist discipline as a confining box – are our friends. Though the word may have something of a negative connotation, deadlines help us accomplish our goals. If it’s the word itself that causes you anxiety, change the word. Use timeline, goal date, or ADOC (anticipated date of completion) instead. The date aspect may be the most important, because a goal without a date is nothing more than a wish. Without a date attached to your goal, you’re not really committed. This came up recently for me when I was sharing my progress on a project with my coach. I was fortunate enough to get an audience with a valuable expert on my topic, and at the conclusion of our conversation she asked when I expected to finish my project. The best answer I could offer in that moment was, “It’s still a ways off, but I’ll let you know.” My coach, of course, suggested that I set a goal date for completion of this project! What a novel idea. When you set a goal with a date, it becomes an affirmation – a commitment to achieve the goal and see it through to manifestation or reality. Those who teach and subscribe to the Law of Attraction (the belief that what we focus on is what we create) often suggest adding a postscript to the end of your affirmations: “This or something better.” The thinking is that God/Spirit/the Universe is grander than we can even imagine, so what we, in our humanness, might think to affirm could be much less than what we might actually achieve/receive. So rather than limiting our affirmations to our human perceptions, we add “this or something better,” to make room for the grandest possible results. Here’s to setting and meeting your deadlines! 2 DAYS left to WRITE down those 2012 goals! OK. So we headed out for a little travel in October and when we returned, a tidal wave of client work clobbered us – for which we are immensely grateful! Nevertheless, it derailed our posts for a while. I’m hoping this has given you all a chance to catch up and implement some of the ideas and techniques we shared with you since our inception in May. Now, it’s time to focus on 2012. The biggest thing to keep in mind is that the best way to meet a goal is to set it in the first place. 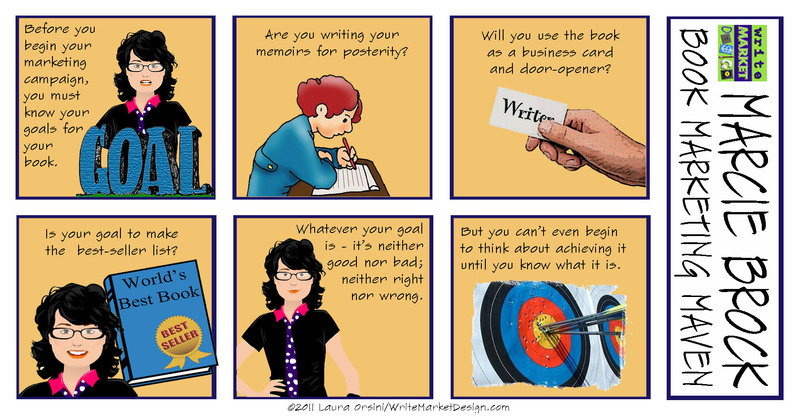 Is your goal to write your book? Write the intro or Chapter 1? 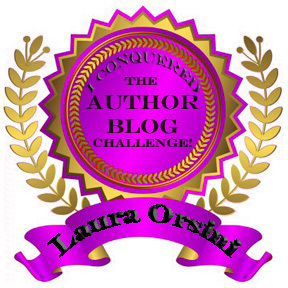 Is your goal to finish your book? Is your goal to find an editor? Is your goal to find a book cover/interior page designer? Is your goal to figure out the whole printing conundrum? Do you need to build a website? Are you planning to start a blog tour? Is your goal to complete a book trailer? Is your goal to convert your existing book to an ebook? Get your book up on Amazon? Is your goal to hit best-seller status? Are you looking to get on the speaking circuit? Whatever your biggest want and desire may be, it doesn’t become a goal until you set it – and attach a date to it. And then tell people about it. Find an accountability partner or team. And keep on plugging. If you fall down, get back up. If your goal is too big, chunk it down. If you lose focus, realign your vision by remembering why you set the goal in the first place. If you need to change your goal, change it! No shame. No beating yourself up. No problems – just change it. Please let us know how we can support you. We’ll be back in business with regular posts in January! Wishing you continued peace and prosperity in 2012! Decide that you WANT to sell books. Before you begin to pursue any sort of marketing strategy, it’s important to determine your goals for your book. Not every author wants a best-seller. For some, it’s enough simply to see their title in print. Some want a book to share with friends and family. Others want books to use as calling cards to leverage for speaking opportunities or as a means of building their businesses. What are YOUR goals for your book? 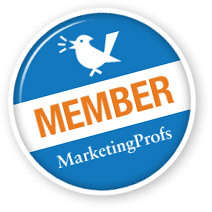 If you want to learn some tips, tools, and strategies that will help you sell more books, keep your eye on this space! 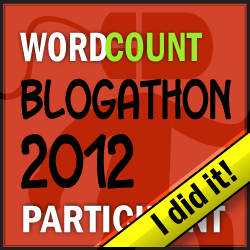 And if you’re still hesitant or unsure, keep reading … you may find some inspiration that nudges you in that direction.